And this is what it looks like at the moment, a sloshy muddy mess, with the liner exposed. Not an attractive sight. And the cause? A pair of black and white birds usually called Magpie-larks or Pee Wees. These birds are also less commonly known as Mudlarks and guess what? It’s Mudlark nesting season. Unsurprisingly, they build their nests from grass and plant material stuck together with wet mud, and it only took me fifteen minutes of following their calls and tree checking to find the nest. There was MY pond mud, on a branch fifteen metres up in a Paulownia tree! Mudlarks are diligent parents and quite territorial, with both taking turns to incubate the eggs and to keep a lookout for interlopers. Towards the end of this video, you’ll hear the alarm being sounded by the on-duty parent. 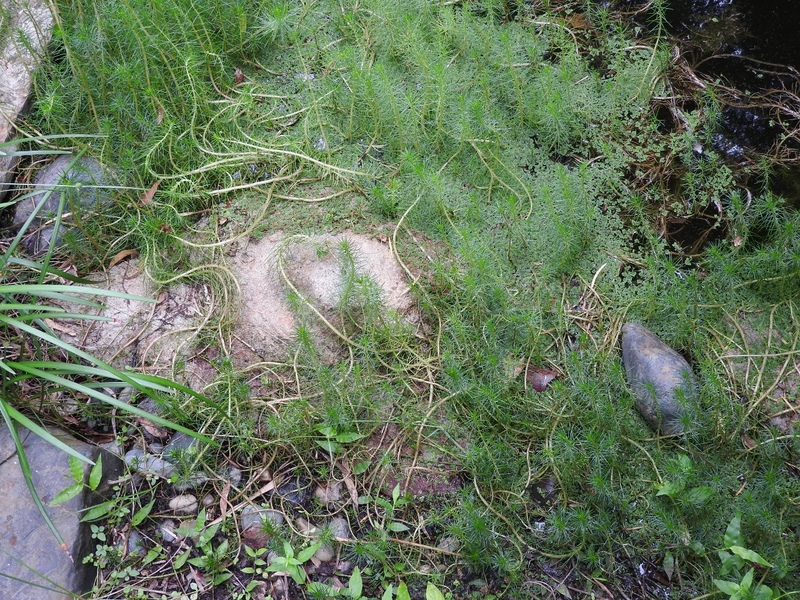 Now I’m quite fond of wildlife, but this means that I’m going to have to crawl along the edge of the frog pond and reconstruct it, which peeves me more than a bit. Even though in the process of searching for the Mudlarks, I found the new roosting spot of the Tawny Frogmouth couple who used to live under a banana leaf nearer the house. Well their disguise works much better in this environment. I didn’t even see the third bird until I viewed the photo full size! I suspect it’s impossible to be both a wildlife lover and have a tidy garden! The mudlarks look very pleased with their excellent sturdy nest and are probably blessing you as a great friend. 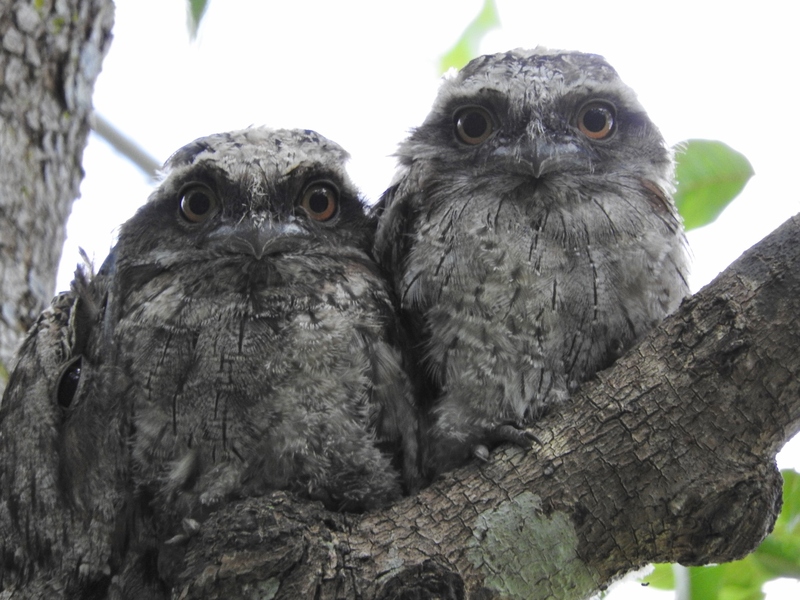 We remember the Tawny Frogmouths! Glad they have re-located but still with you.